Pennsauken, NJ (September 22, 2016) – On Monday, September 26, V‑COMM President Dominic Villecco will be delivering a presentation at the Southern New Jersey Freeholders‘ Association’s (SNJFA) meeting on behalf of the New Jersey Wireless Association (NJWA). The presentation will focus on raising awareness and gaining support for issues concerning the collection and diversion of 911 fees in the State of New Jersey. 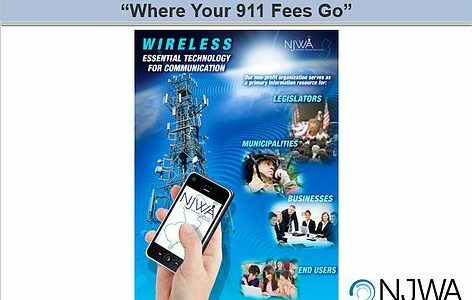 Together, Dominic and NJWA have been making great strides in the fight for fair distribution of state 911 fees. Just recently, the issue was highlighted by RadioResource Media Group’s own MissionCritical Communications magazine and NJTV News. Dominic has also brought attention to the issue at this year’s New Jersey NENA Conference in Atlantic City (click here to read more), and NJWA members traveled to Washington D.C. late last year to meet with FCC Commissioners and Congressional Representatives in light of the issue. Dominic serves on NJWA’s Board of Trustees as Vice President and is also the Chair of the Public Safety Committee.